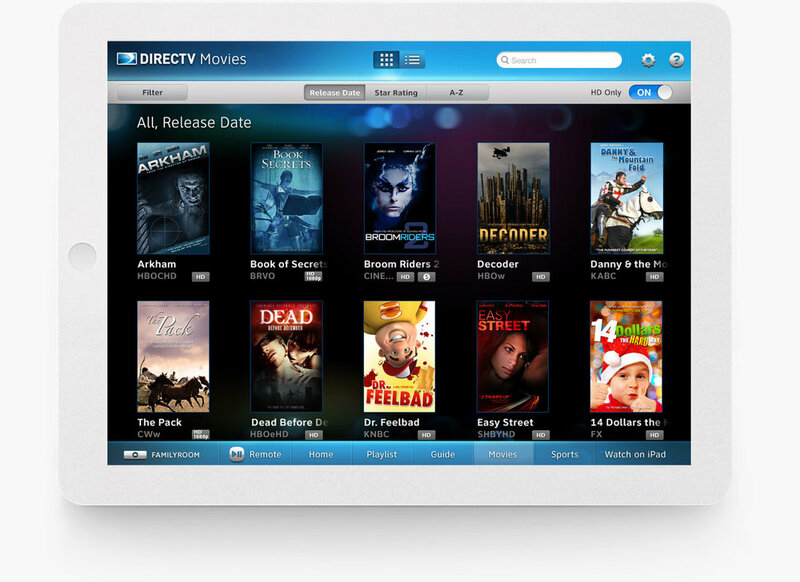 From leading UI to pushing marketing & ad sales tactics, I've had a steadfast hand in launching entertainment products for more than a decade. 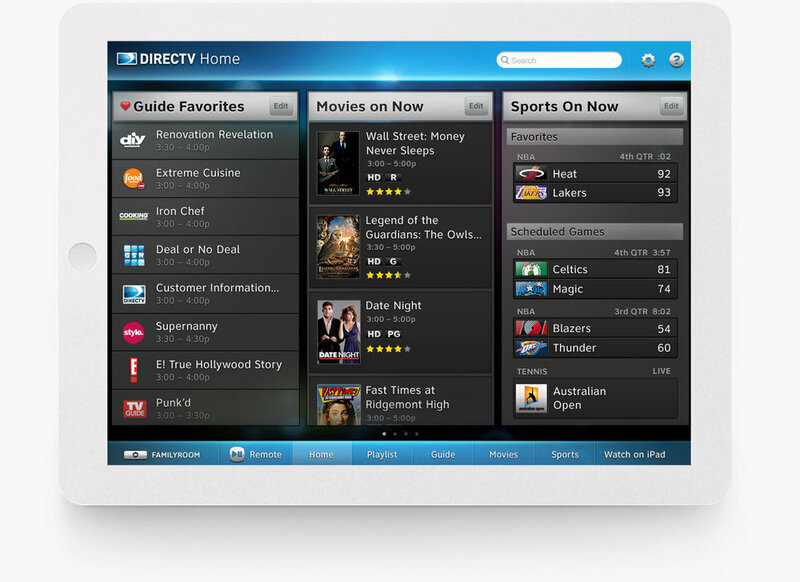 Subscribers were eager to engage with a DIRECTV iPad App and an updated version of the iphone app. 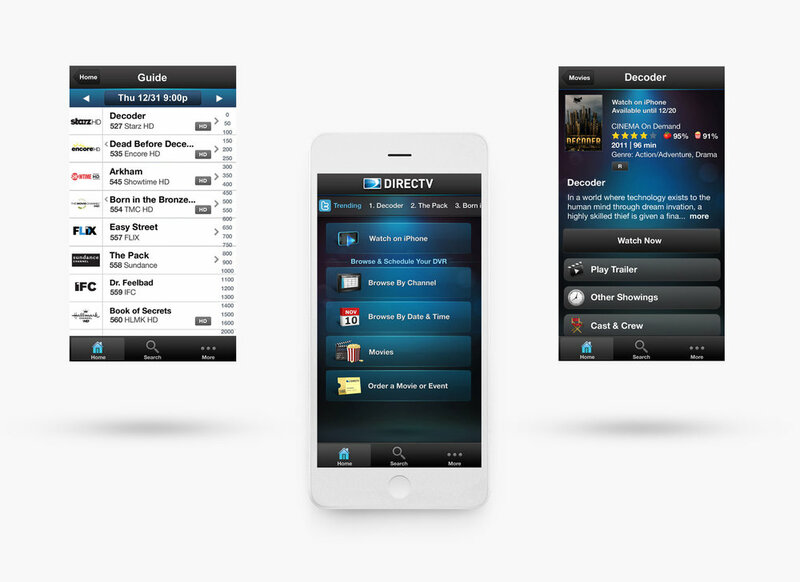 I collaborated with another Art Director on initial wireframes, led UI design, and oversaw specs/delivery for a suite of platforms offering DIRECTV's first mobile and tablet apps. 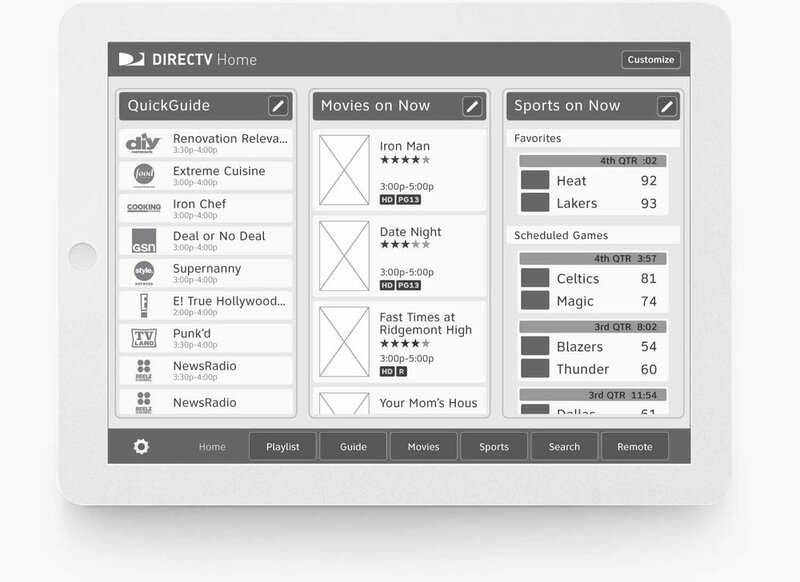 With an updated look 'n feel and new features, customers were finally able to easily discover, browse, control, stream and schedule recordings for their DVRs— all through a branded user experience. 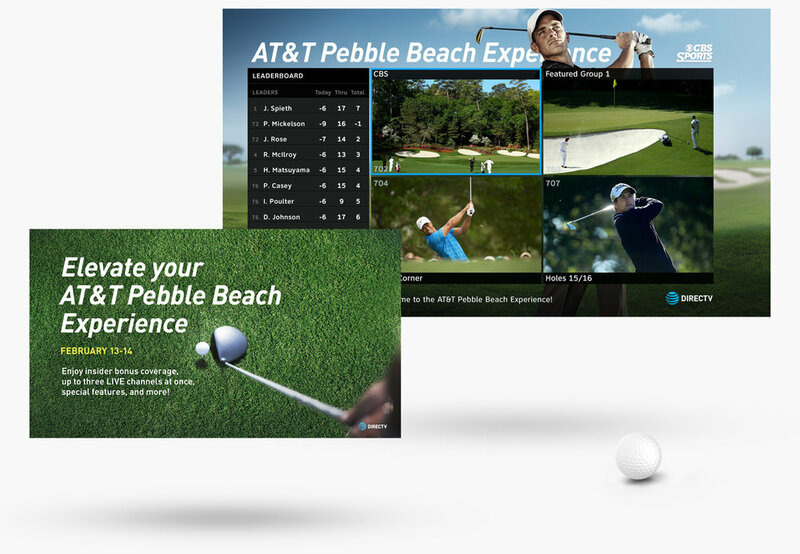 I led creative on broadcast campaign design concepts, animation, VIZrt, and production design for interactive sports experiences over the years with a team in LA & NY. 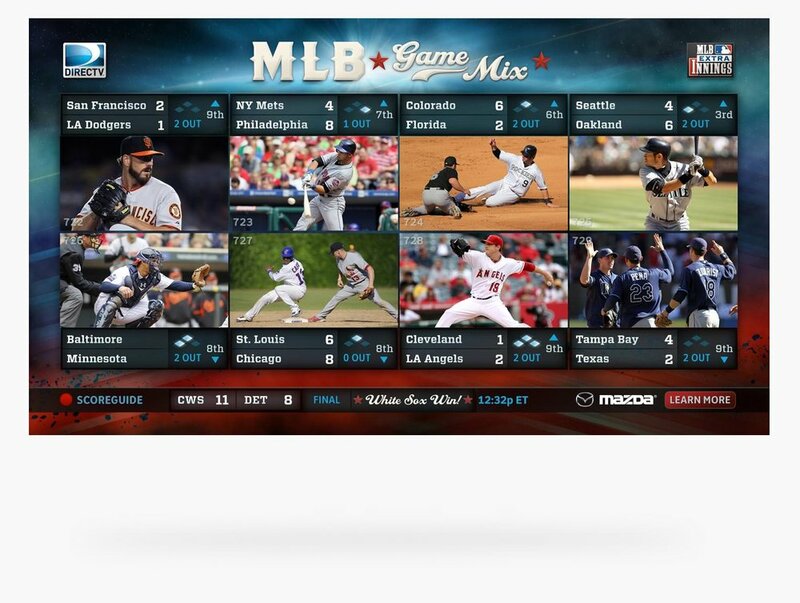 These mosaic mix channels aired curated video content and offered viewers access to enhanced scores & stats. The "living image" campaign (above and below) captures a static image of an athlete, slowly panning parallax to the background sports stage across a bold "masthead" title— freezing a powerful "moment in time" before moving on to another scene. 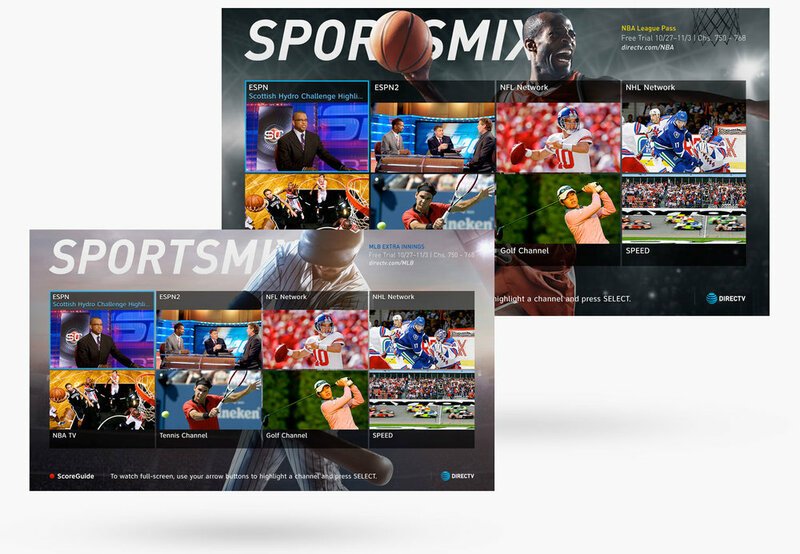 25 more sports, events, and specialty mix channel packages were produced to dovetail annually on the original direction. 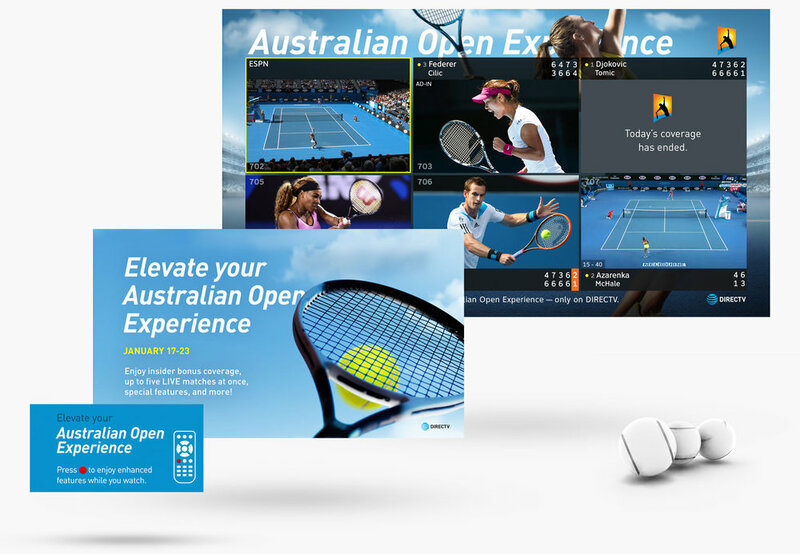 Beyond the look 'n feel, my team and I partnered with cross-functional teams — Content Strategy, Sports Marketing, Engineering, Production / Traffic Ops, Interactive Advertising, etc to design, present, and deliver a premium product package against rigid timelines. I contributed to NFL SUNDAY TICKET for many years by partnering with Product Strategy, Sports Marketing, and Interactive Advertising teams in various roles as a Sr Designer, an Art Director, and an Assoc Creative Director. From the background design, to directing animation sequences in the scores etc, I worked with all of it. My experience and ability to pivot quickly has enabled me to collaborate, align business and UX objectives, and harness development and broadcast capabilities. 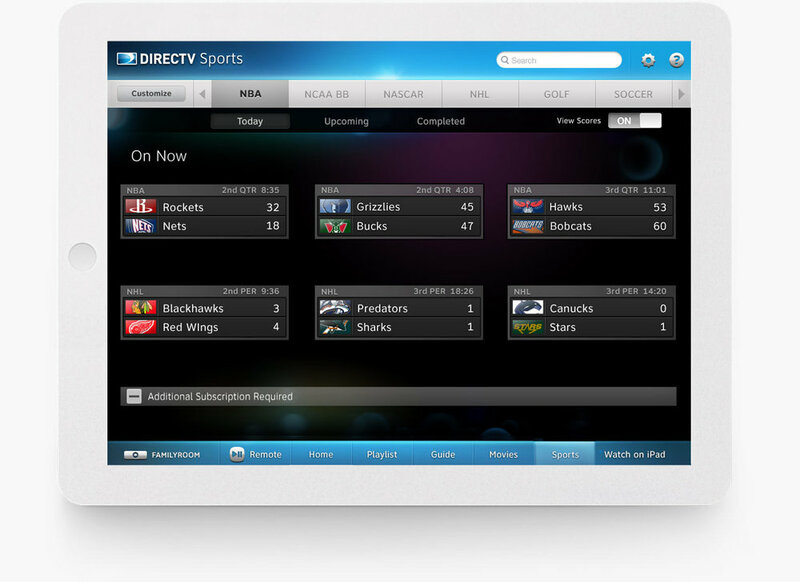 SHORT CUTS and HIGHLIGHTS are VOD / shortened on-demand game coverage. Below are keyframes & clips showing match-up and weekly sponsor bumper samples. Each season, the team rendered and delivered 300+ motion segments that got spliced together at the broadcast center each week.